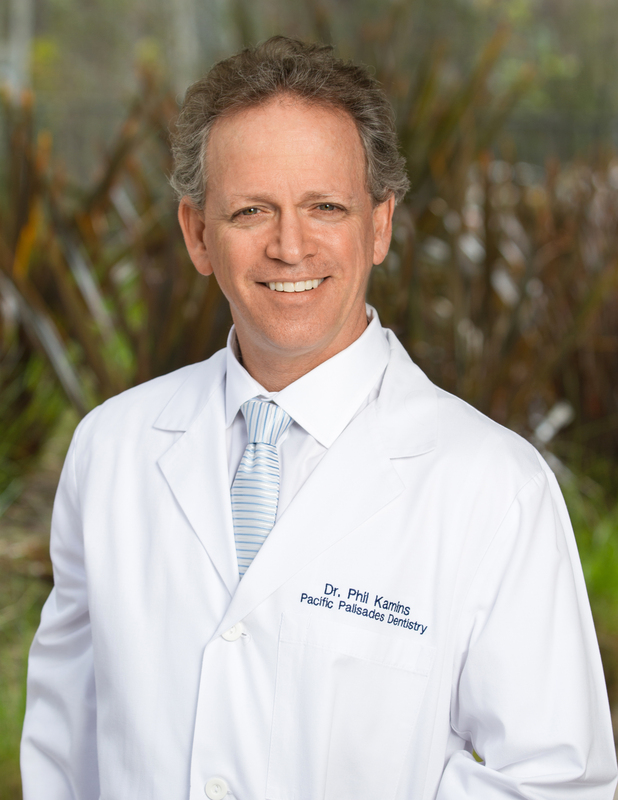 Our Pacific Palisades Dentistry team has been serving the people of Pacific Palisades since 1987. Dr. Philip Kamins offers dental treatments ranging from general dentistry including teeth cleanings and exams, to cosmetic dentistry solutions such as teeth whitening, dental implants and veneers. From the moment you walk through the door you will know that your health and your smile are our top priorities. Our entire team is dedicated to providing you with the personalized, gentle care that you deserve. Family dentist Dr. Phil Kamins achieves this by using state-of-the-art dental equipment such as intraoral cameras so you can see inside your mouth and digital x-rays to limit radiation exposure. Dr. Kamins utilizes air abrasion techniques and laser dentistry whenever possible and offers sedation options for patients who need these alternatives. Part of our commitment to serving our patients includes providing useful information and education. This website is a resource we hope you will find both beneficial and interesting. We encourage you to read more about Dr. Kamins and check out our dental videos page so that you will have the guidance you need to make informed decisions about your oral health needs. We genuinely hope this site is a valuable tool for you to learn more about our practice, oral conditions and treatments, dental recommendations, and more. hands down the best dental experience I have had over the years. Dr. Phil Kamins and Terry are really experts in their field. I feel right at home here and am happy to call this place my dentist. Deeply caring and talented doctor, wonderful human being. Never thought I would look forward to going to the dentist! Every time I go, I'm more impressed with both the friendliness and quality of everyone at Palisades Dentistry. Amazing group of people. If all dentist's office could be this way . I have been coming here since I was a kid and have always had a positive experience! Everybody is incredibly kind and the office has such a warm feeling. Dr. Philip Kamins is dedicated to comprehensive dental care including Teeth Whitening, Veneers and more. We are looking forward to your visit to our Pacific Palisades, California dental office.